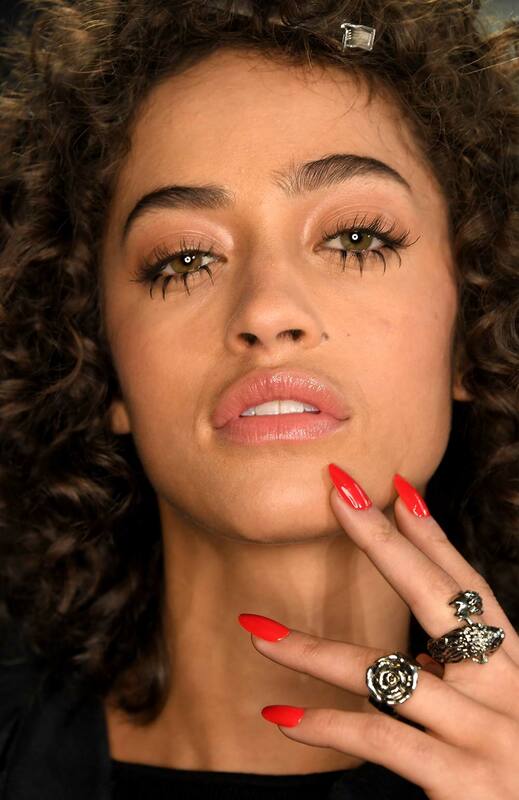 With a theme of idolatry and imagery of Jesus and Elvis, the Jeremy Scott A/W 2017 collection presented us with a “part flower child, part spooky but cute doll” look. 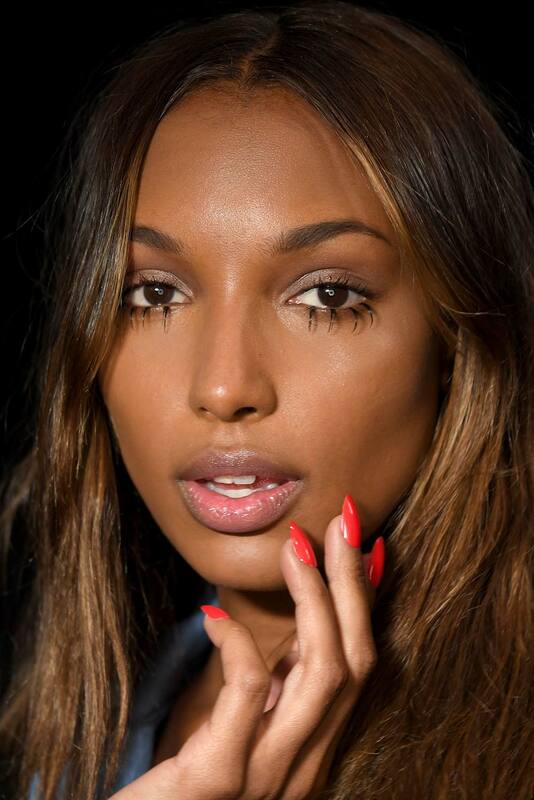 The main focus of the makeup – the long individual lower lashes – were cut from M·A·C 7 Lash and glued over models’ real lashes. Upper lashes were curled and coated with a thin layer of Haute & Naughty Lash for definition and lift while Cream Colour Base in Hush and Tint were blended over the eyes to for a soft, salmon accentuation. 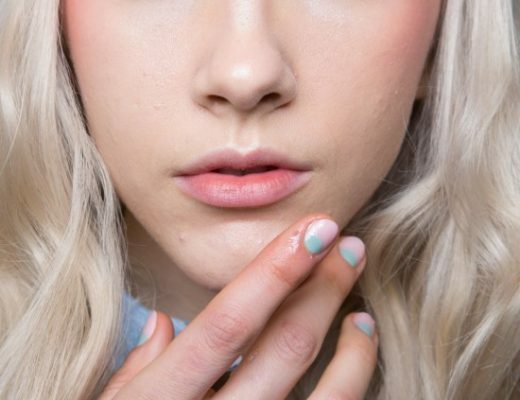 A peachy flush on the apples (Power Blush Duo in Today We Live) and sheer pink lip (Versicolour Stain in Energy Shot) completed the look. 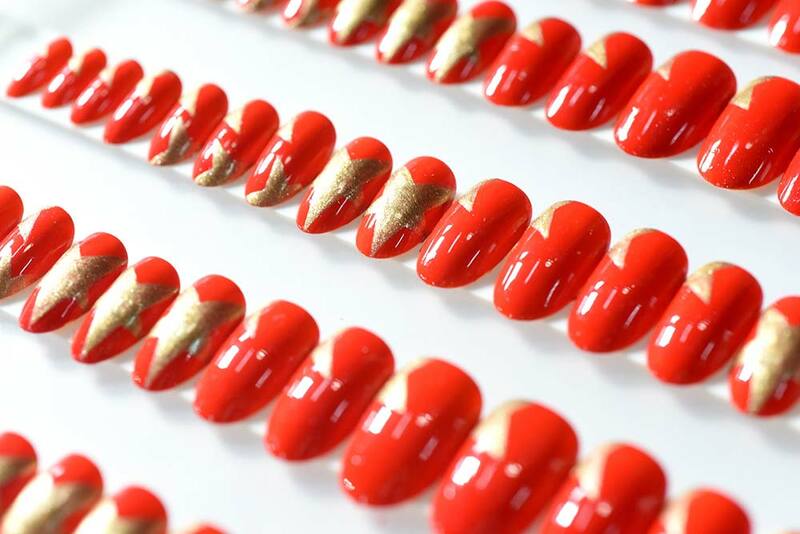 On the nails, a fiery red look was created with CND VINYLUX™ Weekly Polish in Banana Clips, followed by a layer of Electric Orange and a layer of Wildfire. 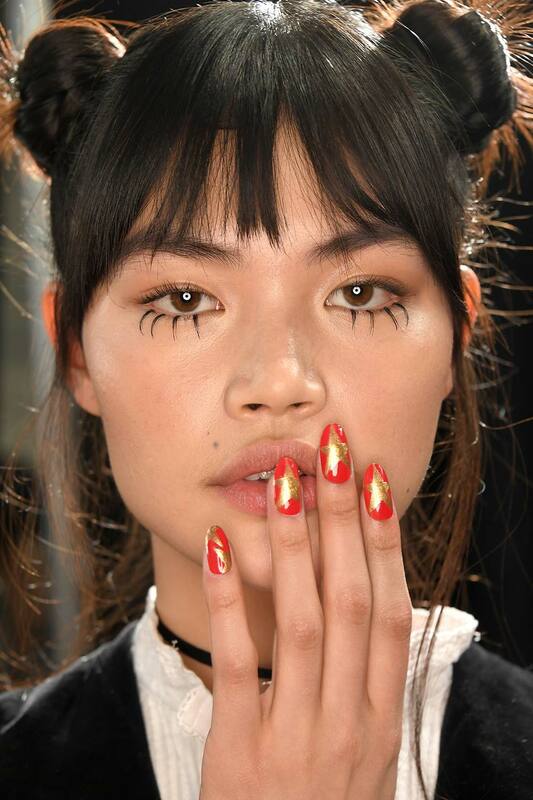 Some models’ nails were further embellished with hand-painted gold stars – rising up the nails, boldly standing front and center and co-starring in corners – for an LA aspirational glamour element.